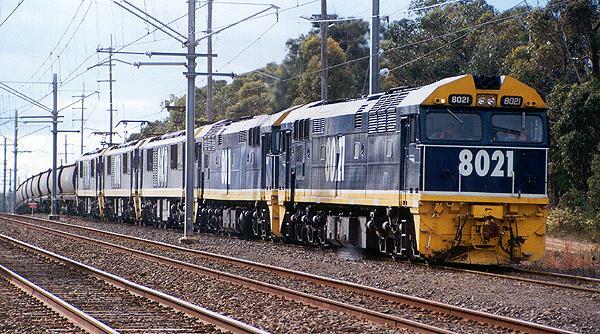 The 80 class was built by Commonwealth Engineering at Granville, NSW. The first unit was in service on December 12th, 1978. There were 50 units in the class, numbered 8001-8050. They have a V12 turbo-supercharged 4 stroke Alco 12.251CE engine. 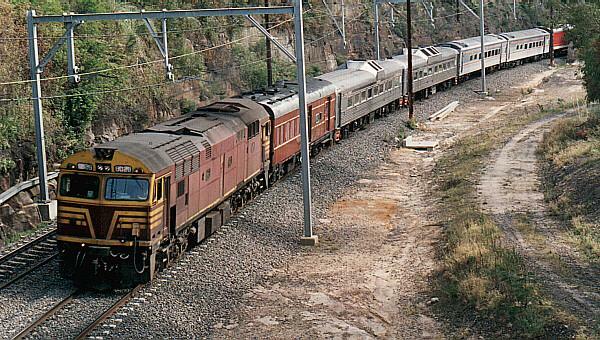 They weigh 121 tonnes and have 2000 HP available for traction. 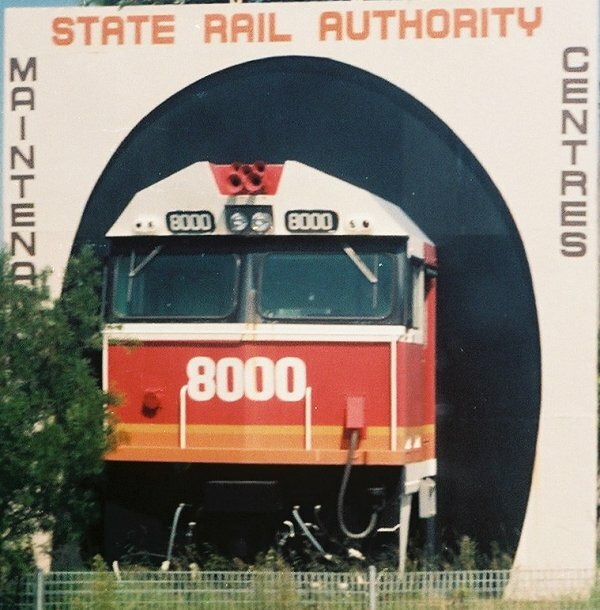 8000 spent many years at the front of the Locomotive Maintenance Centre at Chullora. 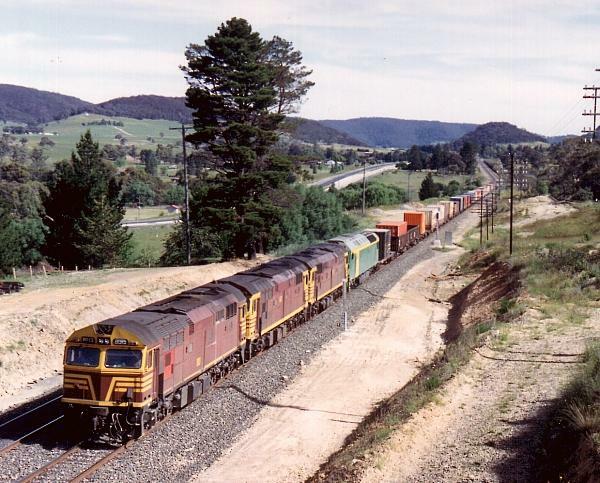 48106, 48xx and two 80s stand around the Lithgow turntable in 1990. 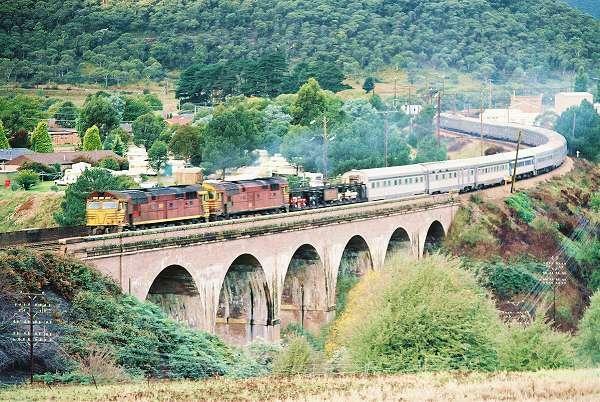 Two 80s lead WL-1 Indian Pacific across the Bowenfels viaduct. 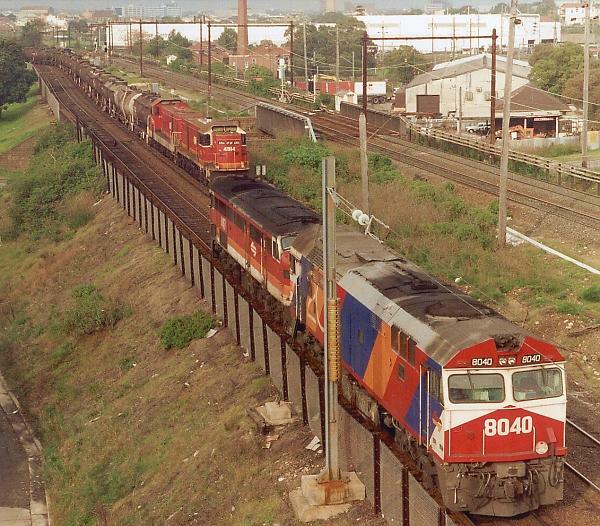 8021, 8011, 8609, 8612 & 8614 on CA16 coal train at Waterfall on July 8th, 1999. 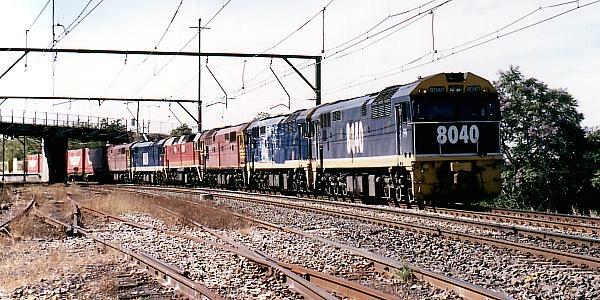 8013, 8037, 8041 and AN-3K lead a long freight into Morangaroo on December 12th, 1992. 8013, 8037 and AN-3K round the bends at Sodwalls shortly after the above photo, but with one less engine on December 12th, 1992. 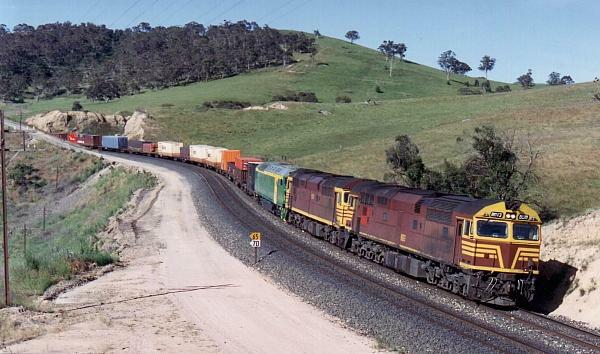 8040, 80xx, 80xx, 42204, 8028 and 8023 lead 7AS6 downhill through Valley Heights on December 9th, 1996. 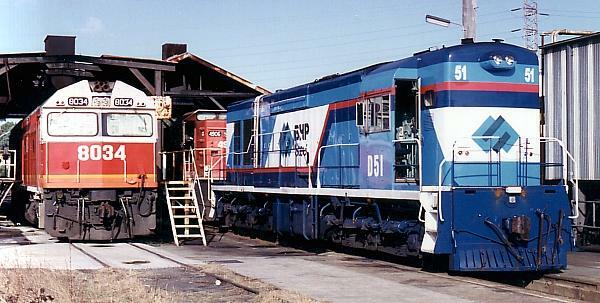 8034, D51 and 4906 stand near the loadbox at L.M.C. Chullora. D51 is awaiting weighing. 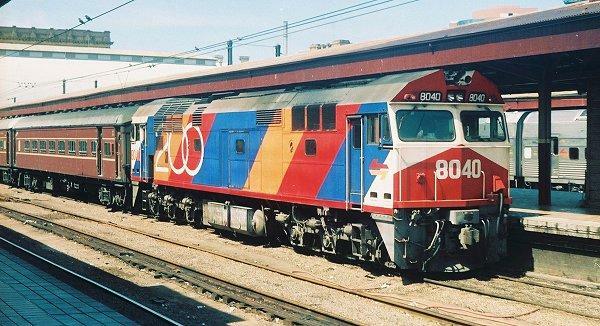 8040 in Bicentennial at Sydney Terminal on January 30th, 1990.